Our bi-weekly Meat Draws are held Thursdays at 5:30pm and Saturdays at 4:00pm are second to none and features $275 worth of fabulous meat packages given away in two draws. 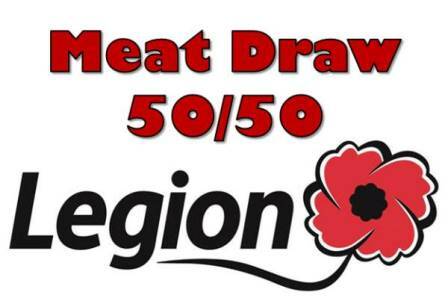 In addition to this, there is a 50/50 draw and one lucky ticket holder receives a $50 Gift card for our local grocery store. As well as being a great social event, the Meat Draws support the Pender Island Community in so many important ways. Monies raised from this event funds worthy causes like a school bursary, Santa Sac, Pender Island Recycling, the Pender Island Community Bus, Pipe and Caleigh Band, Pender Island Cemetery, Pender Island PAC, Pender Island Baseball and Basketball to name a few.